Open access to data that can influence food production and nutrition is crucial for innovation in agriculture and value chain development. 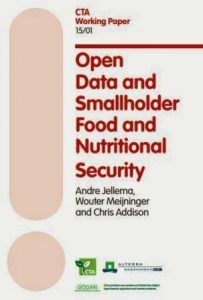 But a report that explores the impact of the open data movement on the food and nutrition security of small-scale farmers finds that despite strong potential, examples of tangible benefits are few and far between. As a member of the Global Open Data for Agriculture and Nutrition (GODAN) initiative, CTA is an active player in the open data debate and is keen to understand the implications of wider access to data on the food and nutrition security of smallholders. With this in mind, CTA commissioned a study from Alterra, Open Data and Smallholder Food and Nutritional Security, published on February 13. Taking the Open Definition’s version of open data as “data that can be freely used, reused and redistributed by anyone – subject only, at most, to the requirement to attribute and share alike,” the report sets out to examine the degree to which more freely available data could be of use to smallholder households and the current impact of existing open data initiatives. In many instances, data that is shared or reused can have a far greater value than if it were simply used for its original purpose. Potential benefits for smallholder farmers are identified as increased participation and self-empowerment, improved or new products such as logistical, extension, financial, input and trade services, more efficient value chains with better access to markets, higher and less perishable yields, greater availability of inputs and better pest control. The availability of open data can catalyse value chains by providing all the players with valuable information, resulting in greater overall impact, ultimately strengthening the food and nutrition security of smallholder farmers, the report finds. However, in general, the impact of open agricultural data in developing countries is low, it reveals. Often, this is because the data needed to have local impact does not exist, or is not openly available. Indirect benefits of open data to smallholders are easier to identify. Among these are better governance. The sources of agricultural open data identified by the report are governments, meteorological and space agencies, businesses and international, science-based and non-governmental organisations (NGOs). 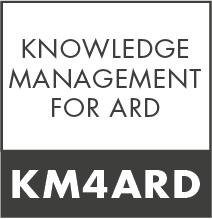 The study shows that agricultural open data sources are dominated by international organisations, such as the UN Food and Agriculture Organization and the World Bank, whose focus is global governance, leading to limited impact on smallholder farmers. Meteorological data is an area where open data is starting to make a contribution to smallholders. However, access, connectivity and resolution of satellite data at a scale that is useful for small-scale agricultural plots are all issues that are limiting the impact. Private sector players, such as mobile service providers, are a promising source of information for and about the smallholder system, given widespread use of mobile phones by small-scale producers. The study highlights corporate data sharing as the most effective channel for producing finely tuned information about the smallholder sector and providing better services to assist its development. Mobile operators are the key to make information available for the farmers but also to harvest local information from the farmers enabling to make general (agricultural) knowledge relevant for the context of a specific smallholder farmer. Important issues to be resolved are privacy, farmers’ rights and business confidentially.